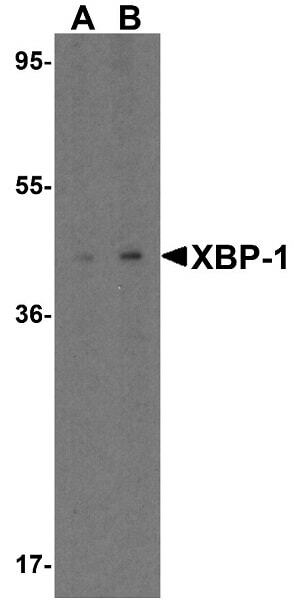 XBP-1 antibody will recognize both isoforms (non-spliced and spliced) of XBP-1. 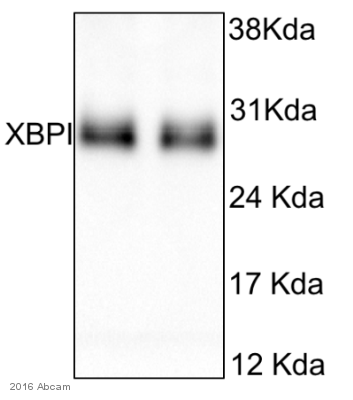 Synthetic peptide corresponding to Human XBP1 (N terminal). Synthetic peptide corresponding to 18 amino acids near to the N terminus of the human XBP1 protein. The immunogen is located within amino acids 40 - 90. Our Abpromise guarantee covers the use of ab37152 in the following tested applications. WB Use a concentration of 1 - 2 µg/ml. Predicted molecular weight: 29 kDa.Can be blocked with Human XBP1 peptide (ab39910). Use at a concentration of 1 - 2 µg/ml. Predicted molecular weight: 29 kDa(isoform 1) and 40 kD (isoform 2). 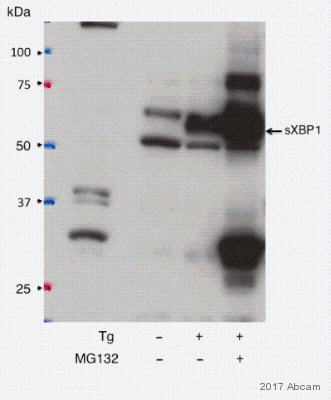 Can be blocked with XBP1 peptide (ab39910). The arrow next to the image points to the XBP1 band. 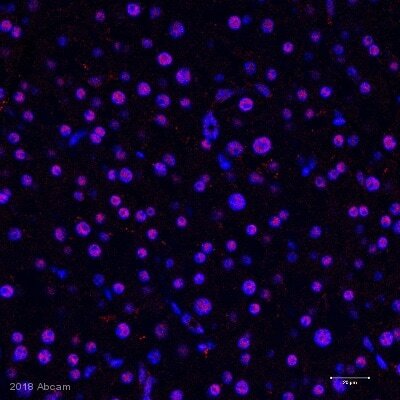 Immunocytochemistry/Immunofluorescence of HepG2 cells labeling XBP1 with Anti-XBP1 antibody (ab37152) at 20μg/ml. 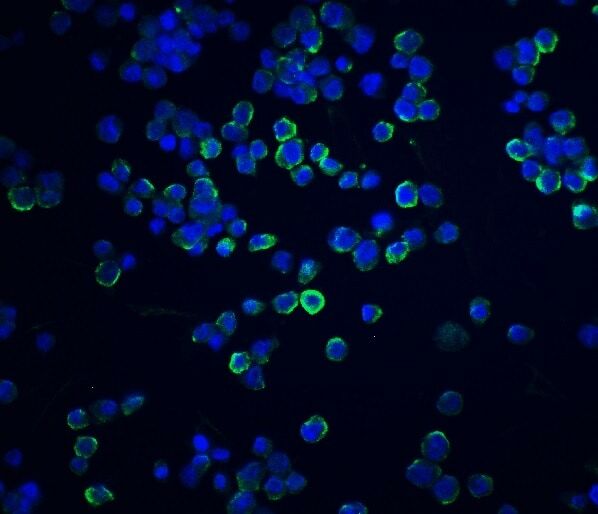 Blue: DAPI staining. 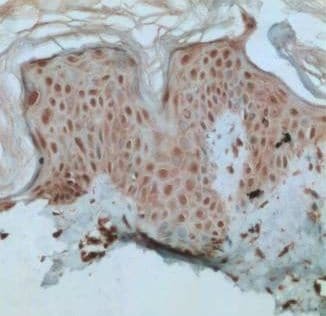 Immunohistochemistry (Formalin/PFA-fixed paraffin-embedded sections) - Anti-XBP1 antibody (ab37152)Image courtesy of an anonymous Abreview. 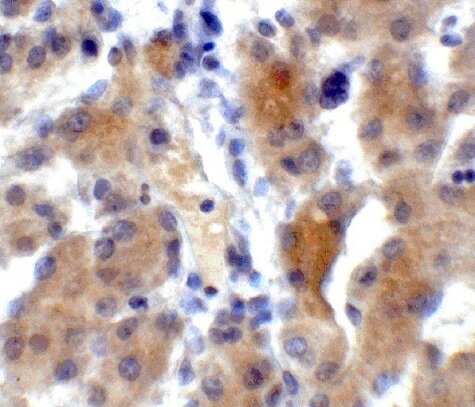 ab37152 staining XBP1 in human liver tissue by Immunohistochemistry (Formalin/PFA-fixed paraffin-embedded sections). 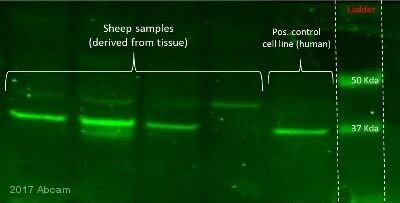 Tissue was fixed with formaldehyde and a heat mediated antigen retrieval step was performed using Citrate-EDTA antigen retrieval buffer and microwave. Heating was performed in the microwave 3 minutes on high until boiling, 6 minutes on 20% power. Samples were then blocked for 15 minutes at 27°C followed by incubation with the primary antibody at a 1/100 dilution for 12 hours at 4°C. An undiluted HRP-conjugated rat polyclonal was used as the secondary antibody. 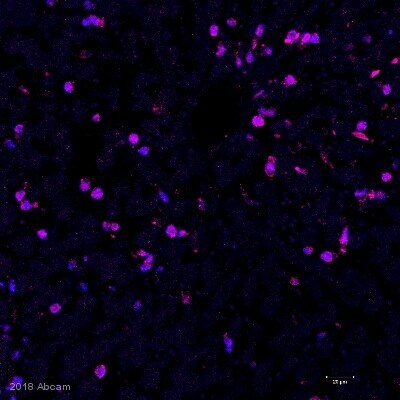 Immunohistochemistry (Formalin-fixed paraffin embedded sections) of human liver tissue labeling XBP1 with Anti-XBP1 antibody (ab37152) at 5μg/ml. 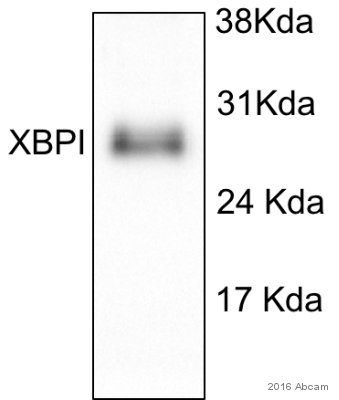 Immunohistochemistry (Formalin/PFA-fixed paraffin-embedded sections) - Anti-XBP1 antibody (ab37152)Image from Ren Yunqing et.al., PLoS Genet. 2009 June; 5(6): e1000523 (Fig 6C). 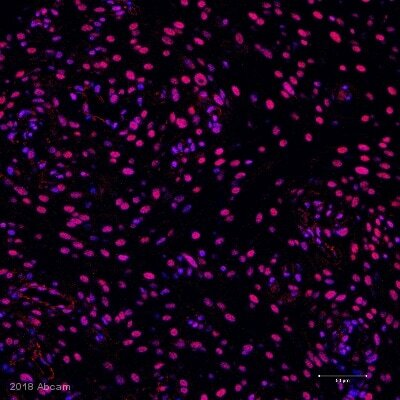 ab37152 at 1/200 dilution staining XBP1 in human non-lesional skin tissue sections by Immunohistochemistry (Formalin/ PFA fixed paraformaldehyde tissue sections). A biotin labelled secondary was used at 1/100 dilution. 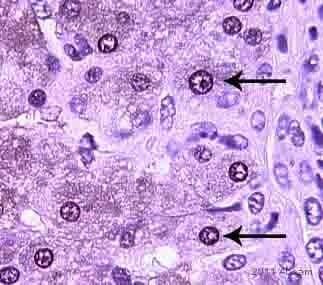 Diaminobenzidine (DAB) was used for staining development in a ABC staining Kit and the sections were counterstained with haematoxylin.